We’ve all heard the saying, ‘a pet is for life, not just for Christmas’ and it’s a very important thing to think about before deciding to buy yourself or a loved one a pet for Christmas or indeed, at any time of the year. The thought of your child’s face on Christmas morning when an adorable puppy or kitten tumbles out of a brightly coloured box can make you forget all the important things you should be considering. Owning a pet is a huge responsibility and everyone needs to consider the pros and cons before making a commitment. No matter how much your child promises to be the sole carer of the pet, they’re not capable of making that commitment. Owning a pet affects everyone in the family so you all need to be aware of what you’re taking on. You need to research your chosen pet and decide whether you and your family can commit to it for the rest of its life. Some pets can live 10-15 years or more which means depending on the age of the child, they might be growing up and moving out before the pet dies. Even if they consider the pet theirs, they may not be able to take it with them when they move out. 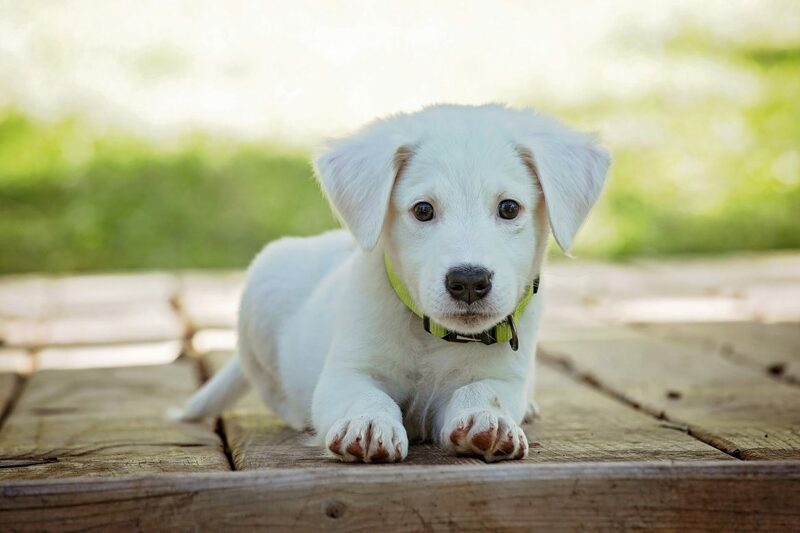 Gone are the days when you could buy a puppy for 20 quid; these days they cost hundreds of pounds and that’s not just for pedigrees, mixed breeds are just as expensive. The average lifetime cost of a dog, depending on its size is between £6,500 – £17,000. Before you bring your new pet home you need to buy everything it will need to live comfortably in its new home. Things like a bed, collar and lead, food and toys are some of the first things to think about but don’t forget other essentials like pet insurance, flea and worm prevention, vaccinations, neutering and microchipping. All these things add up and can be very expensive. Even with pet insurance, you could end up with unexpected vet bills which can run into the hundreds. Before buying pet insurance you’ll need to do lots of research to find the best one. Some insurance policies don’t pay the vet directly; you will have to pay the bill and claim it back from your insurance provider. If you haven’t budgeted for unexpected vet bills, you may need to take out a short-term loan from somewhere like CashLady to help pay the bill until you can claim it back from your insurance. It’s important to check everything that your insurance covers because some don’t cover things like yearly health checks and vaccinations. Making sure your pet is trained can make life easier for everyone, but training can also be an extra cost and extra work that you haven’t thought about. It can take a long time and a lot of hard work to get your pet trained so you need to be sure you and your family have time for this extra work. Welcoming a new member of the family is a huge commitment, but it can also be one of the best decisions you can make. It may seem like there are many cons to owning a dog but there are many pros as well which for most families, far outweigh the cons. Getting more exercise, being less likely to suffer from depression and enhancing your children’s childhood by helping them learn empathy are just a few. It’s not often we go for the showstopper when we’re baking along with The Great British Bake Off, but Ant really wanted to try his hand at Mille-feuille, Chou and Pâté Sucrée pastries on patisserie week and I have to say, he did brilliantly. 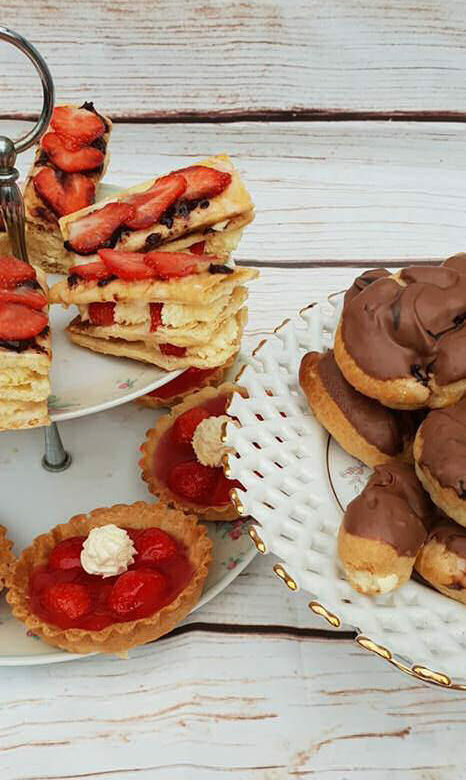 I loved the mille-feuille and the chou buns and eclairs were delicious but the strawberry tarts were my absolute favourite. *Edit* Ant was delighted to win Star Baker for his bakes this week. Thanks, Jenny and Helen, you made his day! Ant used Ruby’s Mille-feuille recipe for the pastry. He made the Chantilly cream by whisking 600ml Double Cream, 50g Caster Sugar and 1 1/2 Tsp Vanilla Extract together until stiff. For the Chou Buns / Eclairs, he used Kim-Joy’s Recipe, filled them with Chantilly Cream and dipped them in melted Milk Chocolate. The Pâté Sucrée for the Strawberry Tartlets used a recipe from The BBC Food Website, for the Pastry. The filling is just halved Strawberrys and packet Glaze made using Strawberry flavoured water. So next week it’s the final and I have to say, I’m going to be a bit sad to say goodbye to GBBO for another year!